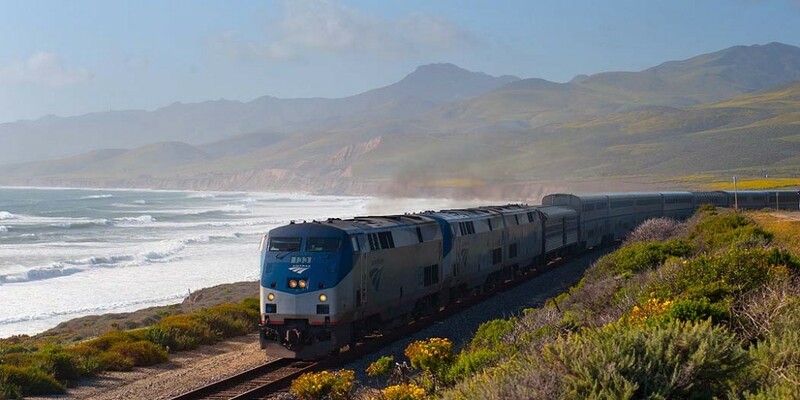 Take in more than 100 miles of gorgeous Pacific Coast from both the Silver Dome car and the Tangerine Lounge car, with play parties aboard the train throughout Friday’s and Sunday’s train rides. Spend Friday and Saturday nights at a beach-side Ventura hotel, and come join your fellow travelers for a Saturday night play party in our 4-room double suite. Spend Saturday morning and afternoon enjoying the sights, sounds and shopping in this picturesque Southern California beach town, or relaxing by the pool and the beach front bar with new friends. This is a great Travel and Destination event, and what a way to join the “Mile Long Club”! Tangerine’s Dream produces the only swing train events in the country, perhaps in the world. This boutique event is limited to 35 couples, so don’t wait – we often sell out early.